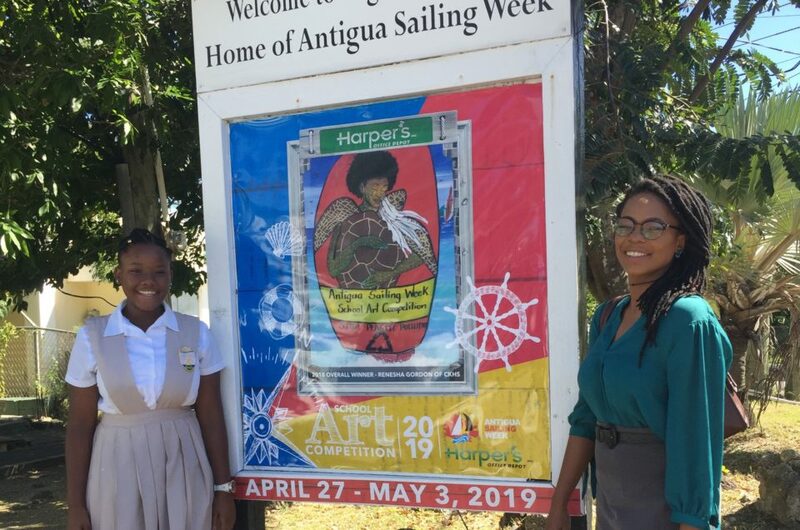 Budding artists and environmentalists in Antigua and Barbuda will have an opportunity to design a poster to eliminate single-use plastic from all areas of our lives for the Harper’s Antigua Sailing Week (HASW) School Art Competition. Students are encouraged to produce posters that will either highlight the peril caused by marine debris to our marine life, coastlines, mangroves and communities or show alternatives to single-use plastics in our daily lives. 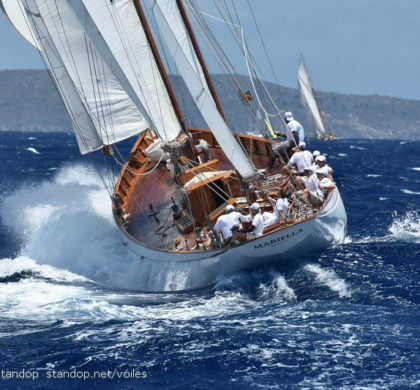 “Every year the Antigua Sailing Week (ASW) team has improved its green initiatives from introducing reusable cups at all their functions, implementing a no straw policy, to waste management, which includes collection and sorting of recyclables. We see the School Art competition as an opportunity to generate conversations with young people that will inspire creative solutions to the elimination of single-use plastics on our twin island state,” explains Rana Lewis ASW Event & Marketing Manager. 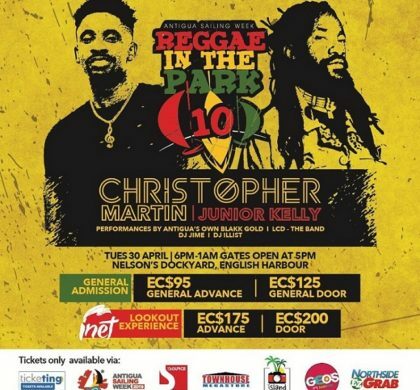 The competition is open to full time students age 5 – 18 and the deadline for submissions to the Harper’s Office Depot locations, the Antigua Hotel Tourist Association or the ASW office, is March 29, 2019. In addition to the age group winners, 5-8, 9-13 and 14-18, there will also be a Facebook People’s Choice award. In addition to grand prizes from Harper’s Office Depot, the winners will receive prizes that include activities from Adventure Antigua, Antigua Rainforest Tours, Stingray City, Triflexcursion, Goldsmitty and Columbian Emeralds. Details can be found on the ASW Website, the ASW School Arts Facebook Page or by speaking to Rana Lewis via 736-2722 or Brenda Lee Browne via 726-5468. Last year’s winning poster design by Renesha Gordon of Christ the King High School is the new Welcome Sign at Cobbs Cross Junction. Shamara Pinnock of the All Saints Secondary School won the People’s Choice Award – chosen by members of the public via a Facebook campaign. 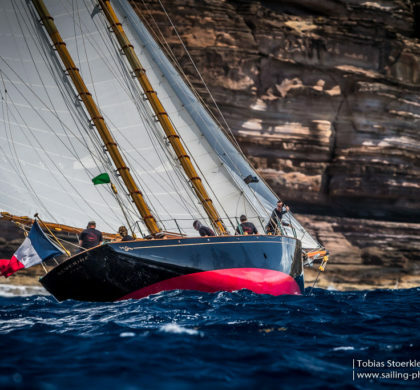 This is the 52nd Annual School Art Competition, started in 1968 to encourage students and the wider community to get involved in Antigua Sailing Week and showcase their artistic talents. This year’s Harper’s ASW School Art Competition will focus on how students can eliminate single-use plastics that continue to litter our shore and sea. The aim is to eliminate floating marine debris which threatens the lives of our precious marine life. What does marine debris mean? Any man-made materials that enter waterways directly through littering or indirectly via run-off, streams and storm drains. What does marine debris include? Discarded water bottles, cigarette butts, Styrofoam containers, wood, paper or plastic bags that end up in the ocean potentially harming marine life. In Antigua & Barbuda, this tends to be single-use plastic items left at the beach, along with litter dropped by the roadside or improperly disposed of. Items like these make their way to the ocean as they are washed down gutters and sewers during rainfall, or carelessly discarded from pleasure boats. Our goal is to inspire young people to use their creativity to initiate a change in the habits of the community. Their creative projects are to inform the public of methods that will lead to the reduction/elimination of single-use plastic and the pollution it creates. Download the rules and submission form here.